Now, for the very first time, the famed Kounovsky studio program has been specially adapted for use in the home. Kounovsky is so confident of the sucess of his methods that at his studio the tradition is to bet a bottle of champagne on he student's achieving a particular goal that seemed impossible at the start. 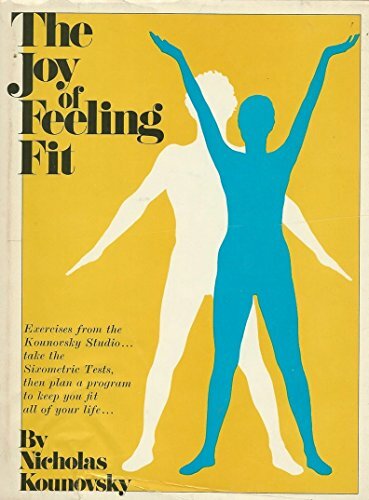 The Joy of Feeling Fit includes over 300 of his invigorating "engineered exercises," plus innumerable exercise charts, diagrams, health tips and more.